After the success of Toolroom Records Samples 01 and the feedback and demos received from everyone using the pack, Toolroom follow up with another selection of percussion loops, rumbling bass grooves, top synths and musical hooks to enthuse studio maestros of all capabilities. Once again all the samples included are future-proofed loops that meet the highest standards, so whether you’re just starting out on your production journey or are a seasoned pro, the right tools for the job are always at your fingertips with this collection of pro-processed drums, basses and smooth sounding synths. Including 24-bit crystal clear audio WAV samples from a range of regular Toolroom engineers, plus loops penned specifically by label boss Mark Knight, this production pack provides the right audio building blocks for creating the full spectrum of electronic tracks. With over 300MB of professionally produced samples, the full pack features both 125 & 128 BPM flavoured grooves for any upcoming productions. 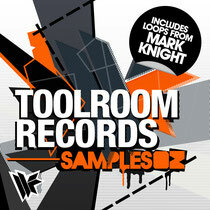 It’s ideal for music producers and creative DJs looking to inject the Toolroom sound into their creations, all loops have been exclusively built from the ground up and are royalty-free to use. Have a listen below, it’s out now.